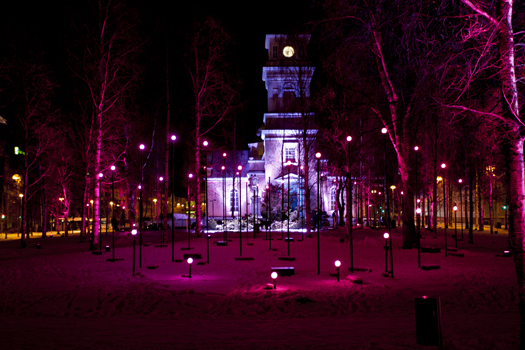 A municipality of around 197 000 inhabitants in north Finland, Oulu experiences an arctic dark winter that provides a unique environment for urban light art and light planning. 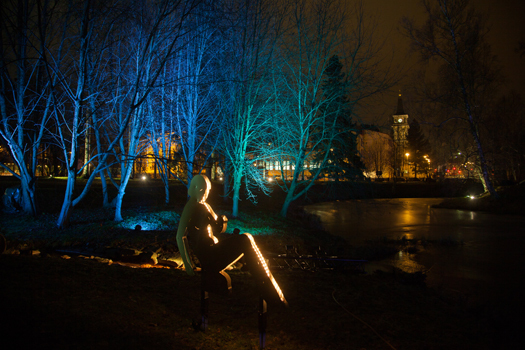 “Light is one way to improve the safety of the residential areas of the city and offer comfortable and pleasurable urban experiences for inhabitants. 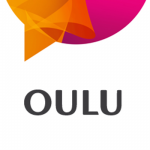 The city has been hosting the Valoa Oulu! 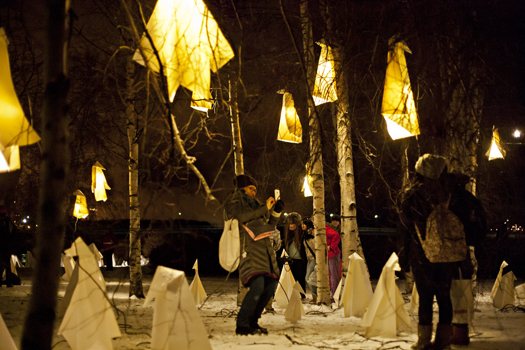 light festival for the past two years. 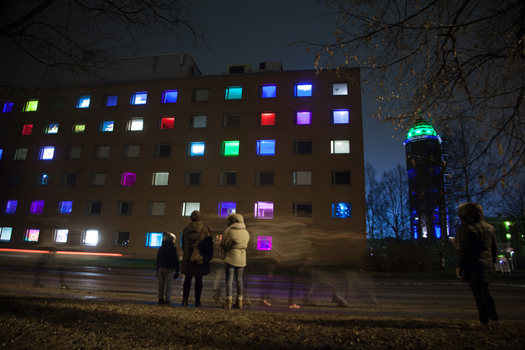 It aims to develop new kinds of gaming and light combinations and bring out areas and buildings in a new light. The third edition will took place from the 20 th to the 29 th of November 2015. It put the spotlight on the renewed Market Square as well as city landmarks such as the theatre and the library. Approximately 20 000 visitors participate each year. 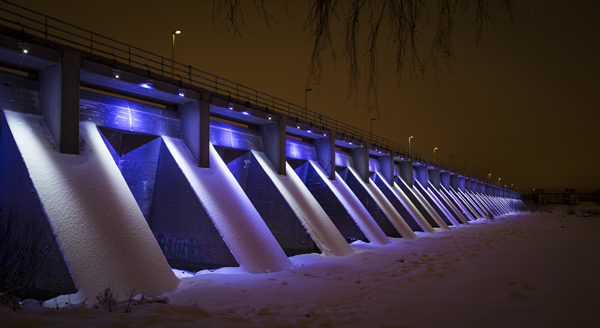 The Oulu Lighting Master Plan was finished in 2010, aiming to modernize the public lighting and improve its energy efficiency. The master plan also includes technical specifications and light planning guidelines for various areas of the city. 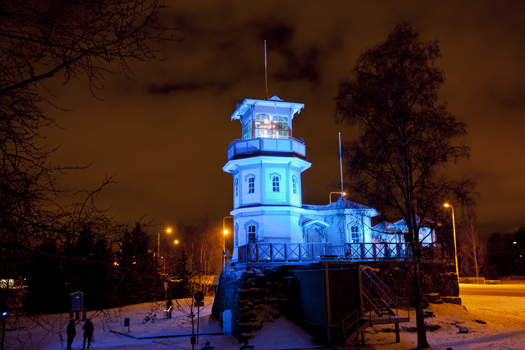 The City of Oulu signed the LUCI Charter on Urban Lighting in November 2015, along with the City of Albertslund.